Our guide to New York will help you find the best breweries in New York New York. What's trendy in New York this week may well be gone by the time you get here, be it an exhibit, bistro, shop, or celebrity. You'll never see it all -- we won't in a lifetime. But do leave time to enjoy our top attraction: people -- en masse, and of all kinds. Here the tapestry is fully unrolled. The city that never sleeps? Don't worry--you'll rest easy with New York hotel deals near Times Square, Central Park, Broadway, and beyond. Get ready for taxi-cab adventures and soaring skyscrapers, and start spreading the news. There are tons of great breweries in the city of New York, our city guide will help you find the best breweries. You may have a hard time deciding what to do in New York, but we make your decision easy. America’s alpha city is home to more young, finicky drinkers than any other city in the country. The result: the greatest beer-bar scene in the U.S and some high quality micro and craft brewers. More than 20,000 bars and restaurants operate within the five boroughs, and even dives carry great microbrews. Brooklyn. It’s perhaps the best place in America for a pub crawl. 190 3rd Ave, (212) 979-7268 - Highlander Brewery is a brewpub located in New York NY. 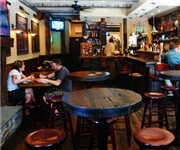 23 Watts St, (212) 925-9922 - Soho Brewery is a brewpub located in New York NY. 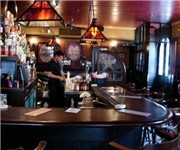 2911 Broadway, (212) 662-8830 - The West End is a brewpub located in New York NY. 93 S St, 212 4838291 - Heartland Brewery is a brewpub located in New York NY. 1600 3rd Ave, 212 3690808 - Carnegie Hill Brewing Co is a brewery located in New York NY. 200 Park Ave, 212 8786775 - Asahi Breweries is a brewery located in New York NY. 234 5th Ave, (212) 481-1018 - Rheingold Brewing Co is a brewery located in New York NY. 340 Amsterdam Ave, (212) 362-7260 - Amsterdam Ale House is a bar and grill located in New York NY. There are plenty more breweries in New York. See all breweries in New York New York.